4 Warning Signs You Probably Need Dental Implants - Trusted Dentistry. Dental implants are used as a method of replacing missing or damaged teeth with natural looking prosthetics. They are usually made of titanium and are placed into the jaw in order to stabilize a replacement tooth, bridge, or even dentures. Here are just some of the things that might indicate that you need dental implants. 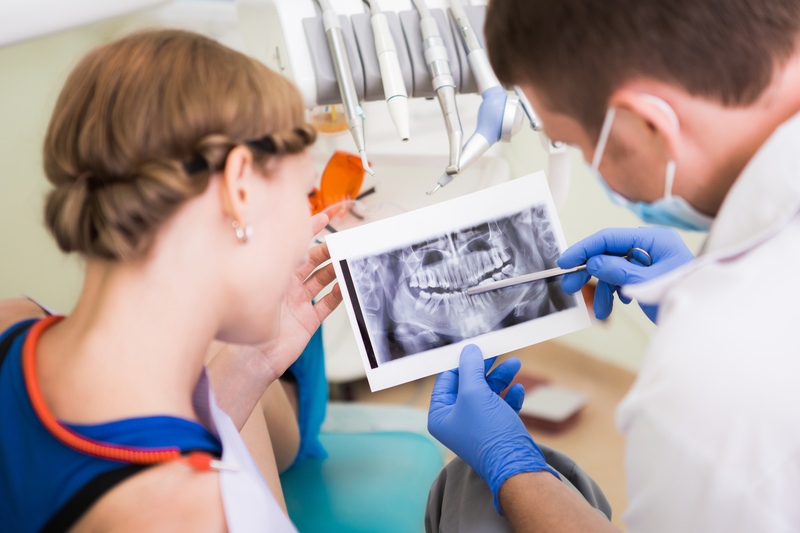 Some patients will need an implant or some sort of replacement tooth after they get a root canal. A root canal is necessary when you have so much damage to your tooth that you really can’t have it in your mouth anymore. Your dentist will drill into the middle of the tooth and remove all the decay. Then, an implant can be placed where the tooth used to be to so you’re still able to chew, smile, etc. People damage their teeth from injuries rather often. If you feel intense pain after an injury, your tooth could be broken, cracked, or chipped. In this instance, you might have damage in more than one place. Adding an implant will replace the broken tooth and provide support for surrounding teeth. If you have an advanced cavity, you probably won’t have enough healthy tooth left to support a filling. This is where the implant comes in. It will provide much better protection than a filling will against gum disease and further damage. It will be up to your dentist to make the decision on whether you need an implant or a simple filling. Many people are concerned about the look of their teeth, and dental implants can help improve appearance. If you have a tooth that is damaged, discolored, too small, or somehow unattractive, a dental implant can replace it so it looks just like a natural, pretty tooth. More than three million people have dental implants in the United States, and that number is slowly growing by 500,000 every year. If you experience any of these warning signs above, it’s time to visit your dentist to talk about dental implants.